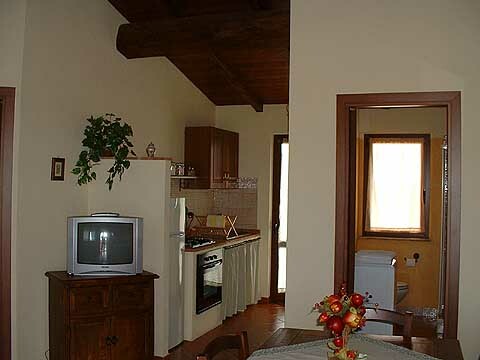 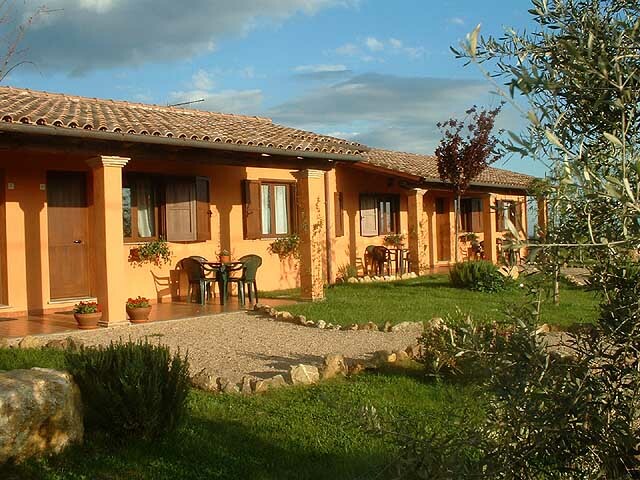 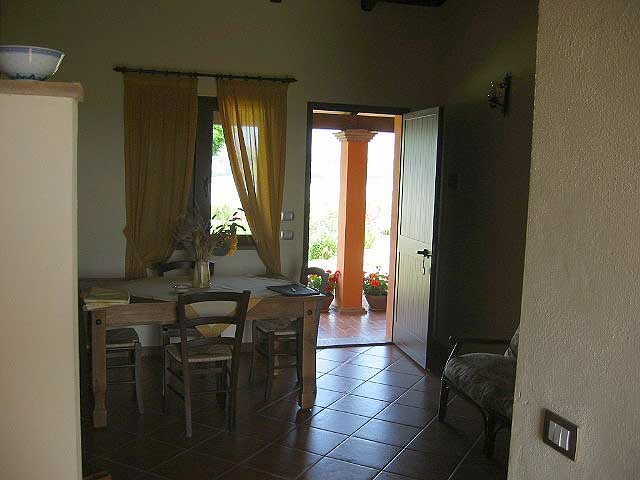 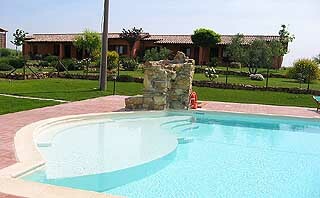 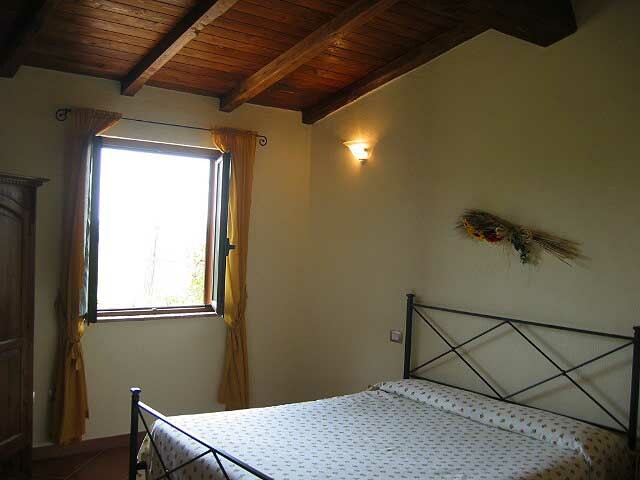 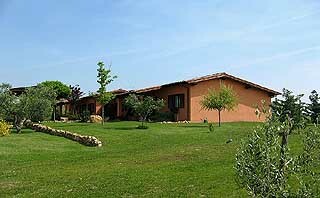 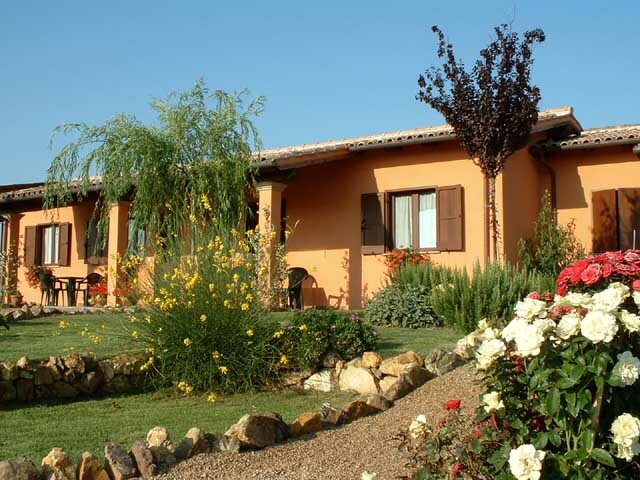 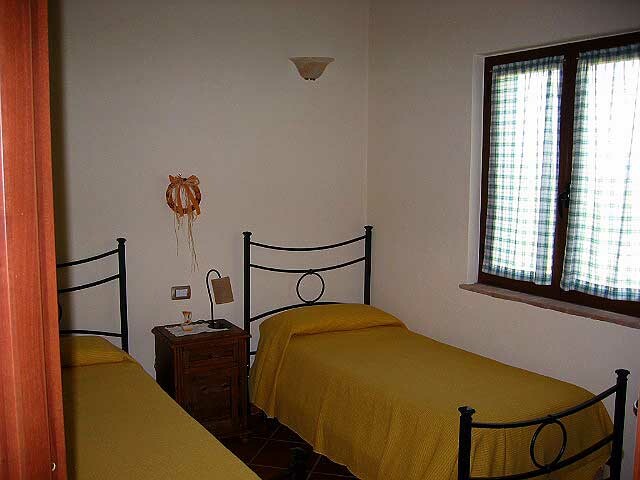 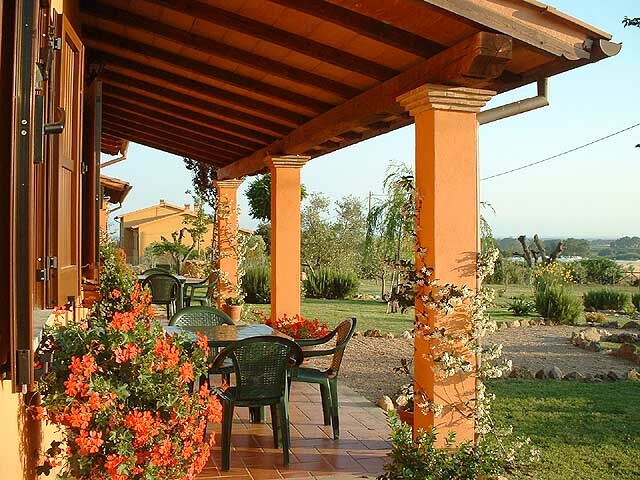 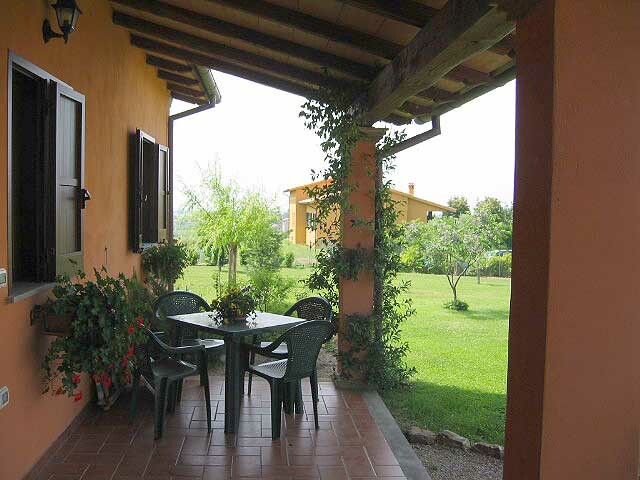 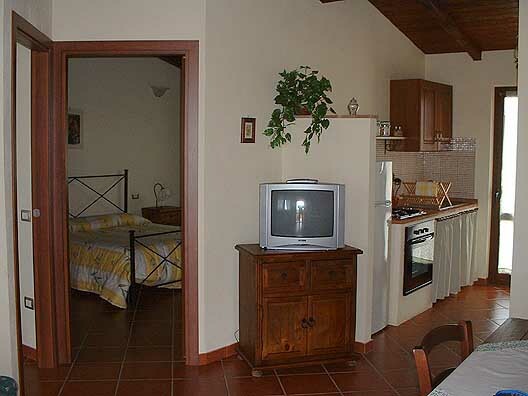 "Fabrizio" is situated in a quiet landscape of Latium, on some hundreds of meters of the border with Tuscany. 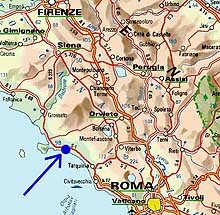 It is only 6 km of the sea. 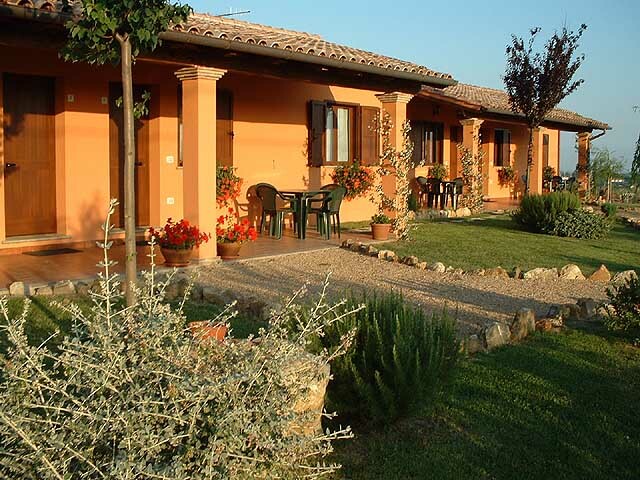 It is a good choice for them who want to combine a seaside holiday with visits to places with Etruscan archaeological tombs and museums, like Vulci, Tarquinia, Cerveteri. 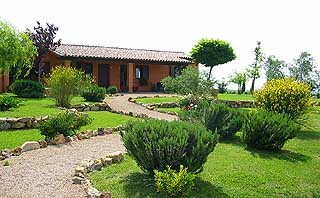 Also for visiting Sovana, Manciano, Pitigliano, Orbetello, and in West Tuscany Porto Ercole, Porto S. Stefano, Argentario, Isola del Giglio. 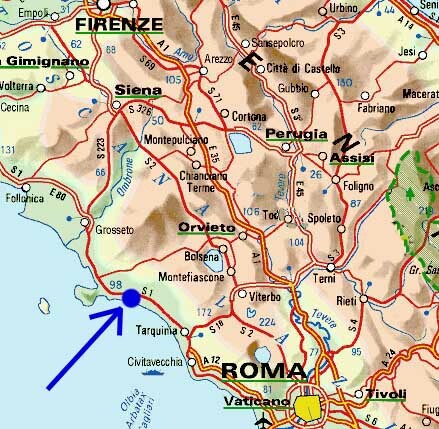 Rome lies 120 km far; Tuscania, Viterbo, Montefiascone and the lake of Bolsena lie closer. 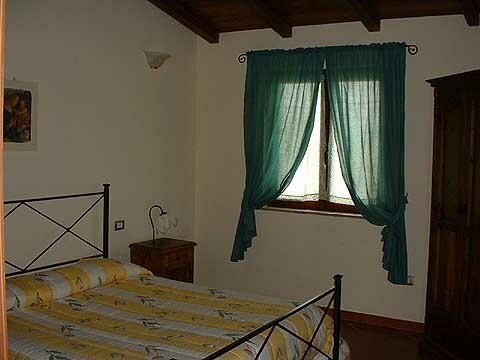 Also Cittavecchia asks attention as a seaport of increasing importance, and because of the fact that one can take there the ferry boat for day-excursions to several islands. 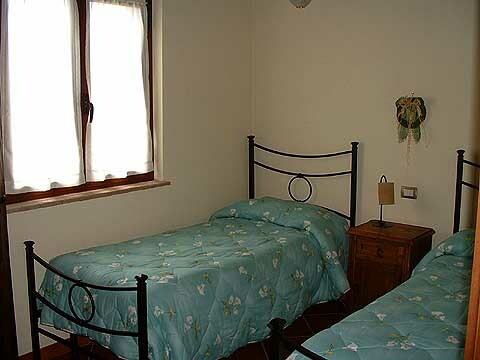 The four houses on "Fabrizio" are entirely identical, although one house has been arranged for 6 persons compared with 4 persons in the others (in which, however, an additional bed is possible). 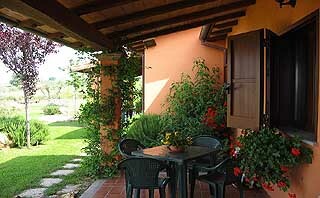 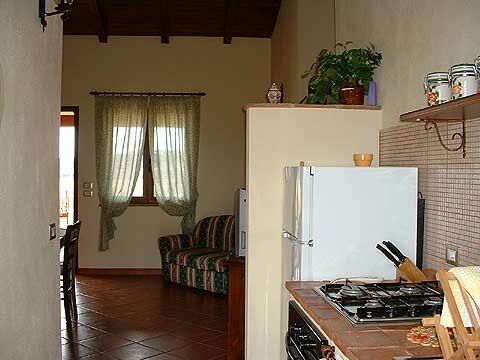 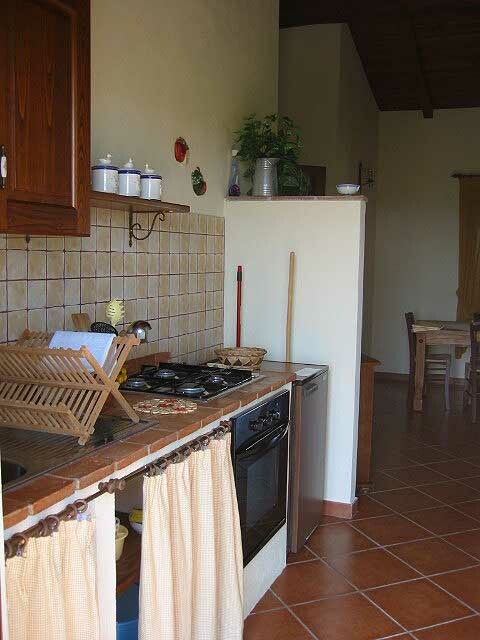 All the four houses have air condition and each has separate terraces where the guests can eat also in the open air. 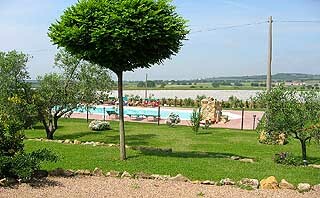 There is an agreement with a beach Place: €.10 daily for beach umbrella and 2 sun loungers and sun umbrellas .